I refuse to believe relocations are tough; not after what I experienced a few days back. From South Carolina to Alabama, I was moved in an incredible and captivating way. The relocation was smooth, enjoyable, and free of errors. For the first time in my history dealing with movers, I had my properties arrive safely and intact. Not a single thing was missing; that is not something that every client gets to experience when he seeks the services. I can confidently say the wonderful service was due to experience. From what I had learnt, they have remained operational for decades, and that explains why they were able to move me in a professional way. During the relocation, I observed many spectacular things about Northern Star Moving Systems. To start with, they were very fast with the relocations. Before the services, I had estimated a time frame for the relocations. They ended up doing the relocations faster. What’s more, the movers proved that they could be trusted with any relocation regardless of how hectic it seemed. I had so many properties to be moved. Most of them were bulky and some very brittle and delicate. Loading them on the truck wasn’t one of the easiest things, yet they managed to do in such a simple way. Looking at them, one could easily confuse the properties to be easy to handle. All the relocation crew were active from the beginning to the end. Every person had a role to play, and no one waited to be followed. The sense of positive self-drive that was deep within them inspired me. I envied how they were able to work in cooperation and coordination from the beginning until the end. The relocation coordinator only had to communicate the message and with minimal supervision, the work would be done. Honestly, I have hired out several service providers, but none of them was like Northern Star Moving Systems. These people were unique in their way. I love and appreciate them for ensuring my move was perfect. You are different, and I appreciate that. To any person who has plans of relocating in the future, I would recommend Northern Star Moving Systems. I have hired them out, and I know what they are capable of doing. When you involve them in your relocations, you will be certain of positive results. I tried them and received nothing but perfection. If they were capable of delivering such relocation services for me, I am convinced they can do much more for you. I was worried when I wanted to move to North Carolina. I had limited time to make the arrangements and yet there wasn’t a particular relocation company in mind. I went to my best friend John who had experience with movers. He suggested a couple of movers, among them Northern Star Moving Systems. I wasn’t so sure of the choices. I went online and checked the reviews. I realized one thing while doing this. Most of the reviews about Northern Star Moving Systems were positive. Eventually, I got interested and contacted them. When I got in touch with them, I had an amazing experience. I asked them a couple of questions about their services, and I got amazing answers. From the way they were talking, it was certain that they were experienced. Finally, we agreed on the actual relocation date, and I was given the quotes. On the day of the relocation, I was a little bit nervous. I was not sure whether they were going to live up to their promises. After exchanging a few pleasantries with them, they started the relocation. They started by sorting my properties into various groups. This way, they were able to pack the various items into the boxes. I had thought the loading would be hectic or even boring like in the previous relocation. However, it was different. They made the process easy and enjoyable. They started by loading the furniture and other bulky stuff. Afterwards, they went ahead to load the kitchen materials and other products. It did not take them so much time. They ensured that everything was in its right space before embarking on the long relocation journey. When I received my properties in my new home, they were intact and in good condition. As some were unloading, the others helped me with the arrangement of the various items in my new house. Ordinarily, the process would have taken long, but they ensured it was fast and perfect. When they were done, I could not help but smile in awe and amazement. Everything had worked out just the way I wanted. Honestly, I had not thought the relocations would be that easy and manageable. Because of what they did to me, I will always remain grateful. When I will be relocating next time, I will involve them in my move. They are so trustworthy, and I would like to thank them for the job well done. I also recommend them to anyone who would like to move in the future. You will not be disappointed. I have always had problems with movers. I was disappointed once some years, and that left me imagining that all movers were the same. When I was seeking the services of Northern Star Moving Systems, I was worried about the possibility of getting disappointed yet again. I was not sure whether things were going to work my way. That made it difficult for me to settle on a given relocation company. Knowing I would have problems getting the perfect mover, I went ahead to consult my uncle, and he proposed Northern Star Moving Systems. I called them and their response was fascinating. I loved the way their salesperson responded to my questions. At least there were movers who were different. However, I could not conclude that yet. I had to wait until the actual relocation date to be certain. On that day, they came a few minutes late, but it was understandable because the traffic was heavy. As soon as they set in, they started discharging their duties. At the time of arrival, I had dome much of the packing, so they helped me finalize the process. Luckily enough, they had carried the masking tapes, so the wrapping was easy. There weren’t any troubles during the loading process. From the lighter properties to the heavier ones, they handled everything with so much ease. I was amazed by their speed and professionalism. What made it even more interesting is the fact that they were doing it so passionately and without any struggles. I looked at them and was full of admiration. I had not imagined relocating in such a way before. The movers were kind enough to help me put my new home in order. Although it was late, they stayed a little longer to ensure all was perfect. By the time they were leaving, I was full of joy. I had not seen all that coming. When in need of relocation services in the future, I will contact you. The services you offered me were not close to anything I received before. You are the best mover that has ever worked for me, and I wouldn’t want that to change. I am also hoping that you will be able to relocate my close associates in a similar way when I refer them. Keep up the fantastic work. I appreciate your efforts. There is no doubt about Northern Star Moving Systems crew being the best team that has ever relocated me. In the past 10 years, I have moved four teams, and each relocation was handled by a different relocation company. On the last one, I decided to seek the services of Northern Star Moving Systems. Having heard about them from a close friend, I was convinced they could change my relocation life. Getting in touch with them was not a big issue at all. I made a quick phone call, and it went through within a few seconds.I do not know how best to express this, but I was impressed by the response from the other side of the phone. If there is one thing I could not fail to notice was here a high sense of courtesy. As such, I felt easy discussing with her the details of the relocation. I needed to know the possible charges and the number of days they might take to move all my properties to New York. After doing her calculations, she offered me a favorable quote. I looked at it and felt relieved. Saying it was an irresistible offer would be an understatement. Without wasting any time, we finalized the details, and the date was agreed upon. When their crew came for the relocations, they had one thing in mind; carrying out an exceptional relocation. From the look of things, nothing was going to stop them from ensuring safe and secure relocations. They were systematic in their relocation approach, and I found that exciting. They started by putting all the necessary items in their respective moving boxes, making it easier for the loading process. I observed the dedication and commitment evident in that relocation and was amazed. I did not believe that they were managing the relocations that perfectly. Also, I could not have failed to notice their perfect speed. In as much as they were doing everything so quickly, they were careful enough to ensure no damage on my properties. The fragile items, including the television and glass vases, were handled with uttermost care. For the first time, I felt a great difference and joy relocating.My encounters with the previous movers had not been as successful as this was. These people made a great difference in my relocation, and I must admit that. There is no doubt that everything was done to perfection. I did not have to struggle with anything. The self-driven movers ensured my properties were safe. I am yet to understand how they made possible such an amazing relocation. It was one of its own. Getting such services in this era is note something to be taken for granted. That is why I would like to express my heartfelt appreciations to the entire team, which was there for me when I needed them. The lovely work your performance they staged is something that will always remain in my memory. I will be looking forward to more relocation services like that; they are worth it! I am not going to be dishonest; I always feel uneasy trusting new people. It becomes even worse when I have to let them handle my properties. You can imagine how it was for me looking for a mover to relocate me to South Carolina. Previously, I had moved once, and the services that were offered were not impressive at all. As such, I needed new movers in as much as I was against. I was afraid of making compromised decisions, so I went to see one of my closest friends, John. I narrated my predicament, and he promised to help. A few days later and told me that he had found an awesome mover, which could assist me, relocate from Alabama in a memorable way. He offered me their details including the email address and their telephone. In as much as I didn’t want to doubt, I found myself feeling uneasy. Before advancing any steps, therefore, I did my research and found out what customers were saying about them. Most of their customers were contented with the relocation services and were willing to come back for more. That gave me a bot bit of confidence and was followed was a phone call. I got an opportunity of talking to one of their secretaries. From the moment we started until the end, she remained courteous. I was impressed by her eloquence and ability to elaborate all I needed to know. Before she was done, all the doubts in my mind had cleared off, so I went ahead to seek their services. On the agreed date of the relocation, they came in good time and carried out the relocation in one of the most captivating ways. I found myself staring at them in admiration. From what I could see, they were highly experienced and ready to do everything the perfect way. They had promised me a nice relocation and they were not going to fulfill. The expertise with which they handled most of the properties left me wondering how long they had been in that industry. Clearly, I had made a good choice, and I was enjoying the benefits. The positive self-drive they had made things even easier. There was no need for supervision because they were able to handle things on their own. Their sense of humility made the relocation even better. Given a chance to relocate again, I will choose this mover and never think of anything contrary. I do appreciate your relocation services, and I hope you will be able to offer me even better relocations in the future. Before I moved to North Carolina, I had so many doubts. Ideally, I did not believe there was one mover, which could assist me with awesome relocations. Based on agonizing experiences, I thought all mover were full of disappointments. If it were my wish, I would not have wanted to move at that time. However, the new business I had established in North Carolina needed my attention. Whichever way, I had to go for one relocation company to help me out. I chose Northern Star Moving Systems. I gave them a call, and we talked at length with their sales person. We agreed on the relocation date and time. On the agreed day of the relocation, the team arrived in the morning. From their faces, one could easily detect that they were out to do something different. I decided to compose myself and watch them carry out the initial relocation process. The organized team of relocation experts divided the tasks amongst themselves. With our cooperation, it was easy to handle the relocation. Unlike the previous cases, I was able to relocate in a peaceful and perfect way. Everyone involved showed a high level of commitment. From what I observed, they were willing to do everything it takes to ensure happiness on my face. Honestly, I cannot remember having any problems with them during the relocation. The entire team was disciplined. What inspired me is the fact that they were ready for consultations whenever necessary. They also made essential inquiries when they wanted to load certain items. Because of that, there was the safety of my properties. All my worries were melted down when the team was able to move all my properties without a single sign of damage. I am sad to say that I cannot give a good review to Northern Star Moving Systems. . Service representatives were all super nice and I was assured that using professional movers would be a good experience. But I was surprised at the condition of our furniture when all was said and done! My washing machine was dented and top corner smashed in. My foot board was cracked and most of the furniture arrived with visible scratches. Two of our small furniture items were destroyed beyond repair. Set up of beds and mirrors was not properly done and had to be redone later. I did not take out full insurance because I thought that professional movers would be careful with my property. It will not be worth filing a claim for the 60c per pound but I will learn from this bad experience and move on! This was an approximately 600 mile move between neighboring states that required a shuttle and I requested a pack of the kitchen. They were quick, but I noticed that they did not adequately pad all of the furniture as they loaded onto the truck. I had to go back through the kitchen multiple times as there were still full cabinets each time I looked. Tried to pack my TV in the box with moving blankets and no screen protection when I had all of the original packing material available. Put my printer in the box upside down with a little bit of bubble wrap. Just horrible. Delivery date was set for the 15-18th of this month. I finally got my stuff yesterday on the 30th. They were supposed to arrive at 8-9AM. I didn't hear a WORD from anyone until around 3 PM, saying they were going to be there at 6:30 PM. On arrival, about half of the boxes were crushed (most of them the kitchen boxes that I did not pack myself), set upside down. Furniture that wasn't padded was scuffed and scratched. Completely broke the headrest off of my office chair, separated the rear wheel of my bike from the frame, bent kitchen implements, lost pieces of my vacuum. Lost an entire side table. Dented wine fridge and all trash cans. I've done double digit interstate moves and this has been the worst experience. I am so much sure that they are the movers to relocate me in a future. I wouldn't want to hire out another relocation company. Surely, why would I settle for the better option if I already have the best? 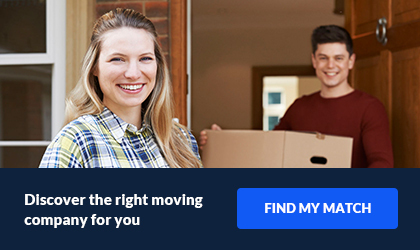 I believe that no single mover is a match to this relocation company. They for sure earned my trust. I liked the way they carried out the movement off every single piece of property from New York to Maryland. It was such a fantastic experience. I expect even better next time because they are so promising. I value loyalty as an individual, so much. If I get a reliable service provider, I will always stick to it because I know the benefits. I have hired out Northern Star Moving Systems more than three times and they have consistently continue proving to me that it is worth trusting them. At no time have they accorded me pathetic services or something that I did not expect from them. In contrary, they keep getting better with each growing day. I am so sure they will serve me even better in my next relocation. It is indeed a great honor knowing a relocation company like Northern Star Moving Systems. Those who have tried them out know it better. Barely two weeks ago, I moved into my new apartment in Florida. The relocation was facilitated by Northern Star Moving Systems crew. I must agree that they did quite a commendable job. There were no mistakes and the job was done just right and to perfection. Lots of thanks and gratitude to the crew. 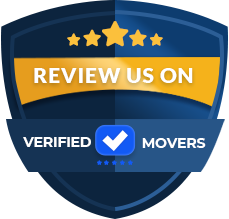 We are very excited with the response these guys accorded us right from the time we contacted their manager and when we talked with their customer service team and till the time we moved with their movers. It was fun and interesting all through and we had the best moves of our lives ever since we had been moving. I recommend Northern Star Moving Systems to every serious movers, you will have the best experience with them. It was a great experience; being relocated by your crew. They were so capable and acted so responsibly and skillfully during the relocation. What inspired me most was the fact that they were doing it passionately. They loved what they were doing and that’s what impressed me most. There were no quarrel or hassles during the relocation. That makes them even greater. I have no doubt they are the best choice of Relocation Company. In the past few years, I have gotten the opportunity to hire them out on three different occasions. Every time, they did a perfect job that left me smiling at the end of the day. It is like their services keep on improving with time as the rates get better. Their relocation team has a sense of hard work and commitment that will leave you with a challenge. When it comes to Northern Star Moving Systems, the word quality and inexpensive comes together. This is because they are dedicated to render perfect packing and moving service to their clients at any point time without charging huge amount of money for the service. The guys rendered their perfect service to me making my move amazingly perfect at affordable and unbeatable rate. Thank you so much for the wonderful service. They are everything I have ever wanted in service companies. They are all that I have always needed. They possess all the qualities I have always desired in a service provider. From the dedication to hard work to diligence, they are just so much different from many movers. I keep wondering where they got such a capable team of experts. Whichever way, they gave me their best and I trust them now ever than before. This was my first move. And it frightened me! I was especially nervous as I'm sculptor and have a lot valuable monument that needed extra care. I read a lot of reviews on a lot of sites, but in the end this company was offered by my landlord. I decided to follow his advice and I'm happy I did it. The team did a fantastic job to help me moving! They were efficient and professional and nice. They were so careful with my values. Even though these are very heavy items, but from the side it seemed that it was not at all difficult for them. They was still as nice as they were in the first few minutes of work. When they loaded everything into the truck, they asked me to check everything. None of my items were damaged and they moved only after my approval. They promised me that everything would be delivered without damage and scratches and they did it! Unloading also went smoothly. Now the move does not scare me as much as before. Because I found my guys! I had the pleasure of working with Northern Star Moving Systems recently and I am very glad that I chose them for my long distance move. They are very professional and they are everything you will need! They move you very smoothly and professionally. My long distance move was like a breeze. The moving team came on time and packed everything very nicely. The moving, loading and unloading were all done with a lot of care and there were no signs of damage. It really turned out to be a damage move! Thanks a lot guys! I also appreciated how you kept the price the same. You really are unique. I will highly recommend you to all. Good Morning! I am happy to report a good move! Before I moved everyone warned me about moving companies and how disgusting they were, so I did a lot of research and think. These movers got to both locations on time and all of them were amazing! Each made sure that my things were loaded the right way!! If it was not for them my things would have been broken or damaged. This was the best decision I have made in a long time and I am glad that I chose them! They gave me a very reasonable quote to begin with. It was really easy getting a quote from them, unlike many other companies. And then their crew showed up on time. I have no issues about recommending them after such a good job. My valuables were moved to my new house without any damages. Firstly, they really know what to do. They were so professional, friendly and fast. They downloaded my stuff in record time! And nothing was broken. They also figured a way to move some furniture through some tight spots. Secondly, they have a wonderful proposal - finance your move. I paid a part at once and now I pay the rest. It is very convenient! Unfortunately, when my family and I had to move, I was been in an another city. My wife had to charge of the moving. And she had no issues with the move and that’s because we found these good people. The guys that showed up were simply awesome! These movers were experienced and friendly. They arrived on time and delivered our belongings when they said they would. I appreciated their effort to help her move everything in such an efficiently and stress-free. If there was a way to give a negative star rating, this place would have it, based on my experience today and level of unprofessionalism. Not sure how you hang up in someone’s face, but that’s besides the point of unprofessionalism. If there was ever a chance I would hire and trust them with my valuables and family heirlooms, that text message sealed the deal of HELL NO, and you can bet that I’ll spread the word of the level of immaturity that this business conducts themselves with. Would LOVE to hear from a manager or supervisor on that one. I’m my line of business, i help people on a regular basis relocate and make arrangements to do so,m, and this company will also be on the ‘definitely DONT call them” list. Hey management. Feel free to email me ashkane1123@gmail.com. Then again, a lack of response will just justify my thought that this company is the furthest from professional ever, I can’t imagine what my belongings would look like after trusting them to be driven across the country, if they ever even arrived at all. Reviews online influenced me to chose this company. I was impressed with my movers. I have a fairly big house, so moving is not an easy task. And they handled everything wonderfully. They worked very hard and made sure I was happy with the placement of my items when they reached my new home. I rented it to move my mother. She was very nervous and apprehensive about her valuables getting damaged in the move. I can't say enough good things about the guys that moved us. Our movers were prompt and efficient, and willing to do whatever we needed done. They explained every little step with us, and they were able to balance handling her property with care and moving everything quickly and efficiently. They really made me feel like they cared. Everyone at Northern Star Moving Systems did they upmost to answer my questions and make sure that I was happy or needed anything else with my move. When it came to the price the price stayed the same all the way to the delivery. I knew exactly what to pay at the time of delivery, they kept me well prepared and well informed during my move! The movers were fantastic as well! Nothing was damaged and I believe it was because they wrapped everything up so well. Everything was super protected and cushioned. And the best part is that they were there when they said they would! I recommend them to everyone who wants the job done right! If it was not for my neighbor I would have not chosen them. I had my eye set on another company but my neighbor moved many times with Northern Star Moving Systems. And I have to admit it but he was right. It was a great job and they were great people. They were funny and fun to move with. My things were not damaged. I actually got my things on time and with no problems. I just really appreciate their efforts. If you want to get a very smooth and affordable move then you must hire the best movers for the job. Using professional movers is nothing new to me, but none of them were as qualified. They packed everything so well which made me feel a lot better about the move. They were prompt and time efficient. You guys made this move so much easier! I have to say honestly. When they offered me a partial payment (finance your move), I thought - well, I can say that I didn't like their work and I don't have to pay! But these guys had earned every cent! They were so helpful, caring and professional. All my items arrived without damage, nothing was lost. Thank you again for your excellent work! I can be very picky and annoying, I admit, but not once did anyone make me feel like what I wanted bothered them. They were always happy to spoke with me and they always had a smile. They called me ahead of time to make sure I would be ready when they got there. Nothing was broken or damaged and I knew exactly what I needed to pay and that amount stayed the same throughout my whole move. I could have not been happier! I was searching for a good moving company last month. Reason is my husband and his new job. These people were great! And definitely the service was errorless. The guys who did the moving, were polite, worked steadily and efficiently asked questions when needed. Very professional people, I must say. Northern Star Moving Systems are a marvelous mover. I heard their name from one of my friends. Their manager was totally helpful with me. They didn’t delay a minute to arrive on moving day. They were decent and trained movers. Northern Star Moving Systems always informed me the status of my stuffs. They were responsible and replied at prompt pace whenever I phoned or sent email. It was a little difference between their previous and last bill. I was unable to raise finger only for this purpose. Because just before the loading day, I purchased some items those were not in my given inventory. They have been superb. Deep inside me, I was so much troubled. But the follow ups by the staff in the days leading up to the move removed any anxiety I had in hiring those company. They answered all my questions, kept me informed of all the movements of my crew, like the time of their arrival and so on. I am a cautious person when it comes to having unknown people in my personal space, but with this company, there were no awkward feelings or wariness. And even when I left them and they were still able to produce diligent and excellent results. The delivery was made on time and honestly I have nothing to complain about. I just wanted to thank you guys!! I am grateful for your services! The people who came for the relocation were great from the beginning to the end. They made everything look so simple and stress free that I can never say enough good things about them. The staffs were friendly and helpful. It was a very nice experience collaborating with them and they made sure that all my things were in good condition by the end of the relocation. I do not see why I should not seek their services in future. They were on time, polite, fast, and made moving actually pretty fun. Moving can be such a pain, but I would do it again because they made it so easy and quick. The wrapped the furniture fast and efficient and we were very impressed by the way they worked. They were quick and professional. No hidden fees and I would recommend. Recently used Northern Star Moving Systems for a move. Great guys, they arrived right on time, were very professional and friendly, worked in a timely fashion. Appreciated that they took the time to carefully cover all large items to prevent scratches or damage to walls, etc. One item was slightly damaged and they promptly handled the issue and rectified the situation. Would use again. The young men who did our move were very respectful and went above and beyond what I expected. Thanks to their trustworthy movers, all our belongings were delivered to us without any problems. Their skill, precision and professionalism made the move so easy for us. Please give them a kudos for the excellent job they did. They were a little late when I was waiting for them in my new home. But these guys did a good job, despite the narrow corridors and a lot of stairs in my new home. All my furniture and walls were left without scratches. And also for me it was a very pleasant surprise that they cleaned after themselves! I found their service to be pretty good. All I had to do was make a call to them and they answered all my questions with patience and gave me the assurance that I don’t have to worry a bit about the safety of my items. They were friendly and take pride in the work that they do. This was my first time using a moving company. I am glad I decided not to be so stubborn and finally pay somebody. Thank you for a job well done. Would recommend to everyone. I was contacted by Bob at Northern Star Moving Systems he went through the inventory in my home. He was extremely quick and thorough! I was moving from California to Florida, a very long move, I was very nervous. The movers showed up worked very quickly, and professionally. The price was accurate the move was on time and we were very happy. I am no longer nervous, use Northstar they did a great job! Northern Star Moving Systems is a full service moving company with over 20 years of combined experience. Our team of professional movers can do any job from a small studio moving to a ten bedroom home or office building moving from one state to another or locally. Our employees are dedicated to make sure your move goes as smooth as possible. Each client’s individual desires are our company’s biggest concerns on every single one of our moves. We know that every clients move is different and we take pride in providing the finest moving service our clients have ever experienced. Our agents are available at all times to help you plan your entire move from pickup to delivery and save you every penny along the way. And our friendly dispatchers and truck drivers stay connected with you along the whole way of your move that way you will always know exactly where are your belongings at any point of time. 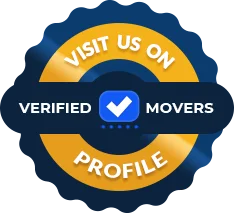 *Professional and uniformed movers with years of experience behind their back.